The first month of the season will tell us a lot about whether Bethune-Cookman is ready for postseason play. 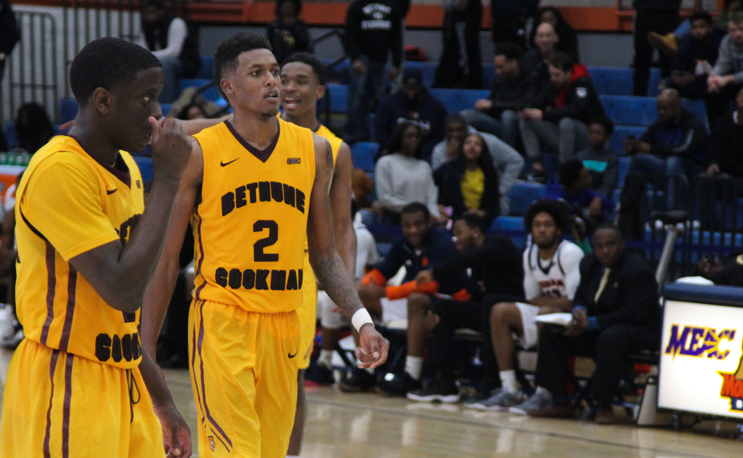 Bethune-Cookman basketball came out of nowhere last season to be a force in the MEAC. First-year head coach Ryan Ridder and BCU went from an afterthought in the conference to splitting a conference crown with Savannah State and Hampton thanks in large part due to its fast-paced offensive attack. The Wildcats finished with 18 wins, but weren’t able to earn a postseason invite after falling to Morgan State in the MEAC Quarterfinals. Obviously BCU is looking to change that in the 2018-19 season. After taking a look at its non-conference schedule, here are three key games to look ahead to. Not only is it the first game of the season, but it will come against a DePaul team looking to make a statement as well. DePaul finished 11-20, and were ninth in the Big East, so they will definitely be looking for a fresh start to the 2018-19 season. They will also feature former North Carolina A&t star Femi Olujobi, who transferred after a solid season in Greensboro last year. Three days later, BCU will show up in Milwaukee to face a team that could be a major measuring stick for them. Marquette went 21-14 lastt season, advancing to the NIT quarterfinals. Led by former Duke guard Steve Wojiechowski (and assistant Chris Carrawell), this is the type of mid-major win that could help a BCU should they win the MEAC and get an NCAA Tournament bid or play in the NIT, CIT or CBI. After two home games in Moore Gymnasium, BCU will head down to the 305 to take on Miami. Miami went 22-10 last season, making an NCAA Tournament appearance where it fell to Loyola-Chicago. If BCU takes a step forward, a win over Miami could put them in a position to get out of the dreaded 16 seed and get into the 15th seed, which has been a sweet spot for MEAC teams looking for upsets in the Big Dance. We’ve seen in the past that beating an ACC team can go a long way for HBCU teams, as NCCU was awarded a no. 14 seed the season it beat NC State. Of course, a win against UM won’t be easy and even if it does happen, they aren’t guaranteed to win an MEAC that has shown us that nothing is a given until Championship Saturday. Still, a good November would be a great way to start off a new year for the Wildcats. BCU lost reigning MEAC Player of The Year Brandon Tabb, but 6’6 combo guard Isaiah Bailey just might keep that trophy in Daytona. Add in some talented recruits and transfers and BCU is definitely a team worth watching this season.